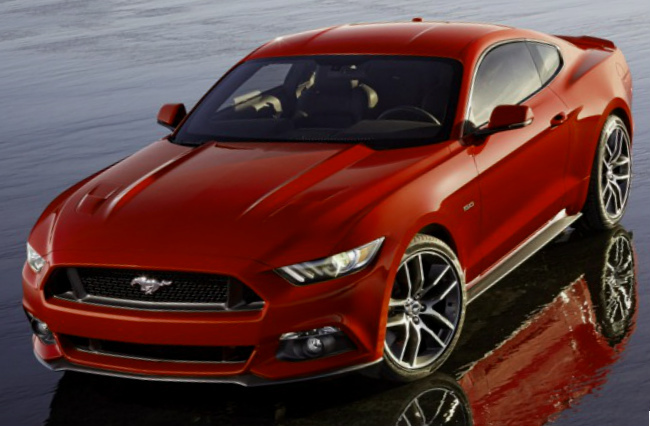 This year Ford puts its 2015 Mustang into the annual nominee “Best car to buy”. The Ford Mustang has the 50-year history and the great reputation, which is confirmed always. However, the current Mustang is not the same as it was before; now the modern Ford Mustang is the grand touring sports coupe but not a muscle vehicle. Owing to the renewed integral link back design and the independent suspension mounted on the each corner, the new Mustang has become a more balanced vehicle. The novelty is updated and improved in many characteristics; the car is equipped with the four-piston brakes of the GT version in front. The auto manufacturer has made decision to give up the previous drag-racing features but keep the incredible unique style of the original Mustang. The Ford team worked on the model to make it more comfortable and convenient. The exterior has been also improved. It lost some retro nets but it is still reminded by its original design of Mustang. The new look is influenced by the previous Mustang. Inside, there is a similar situation with the interior. The car has many different knobs and switches that make controlling the car, but there are not too many to avoid the plane view there. The Ford Mustang of 2015 model year is a car, which is a serious rival for other nominates taking part in the annual event “Best car to buy”. The quality, technical characteristics and the price give the 2015 Ford Mustang to have opportunity to win this year. More information will be revealed next week as well.